Data governance is all about managing data, by revising that data to standardize it and bring consistency to the way it is used across numerous business initiatives. What’s more, data governance ensures that critical data is available at the right time to the right person, in a standardized and reliable form. A benefit that fuels better organization of business operations, resulting in improved productivity and efficiency of that organization. Thus, the importance of proper data governance cannot be understated. 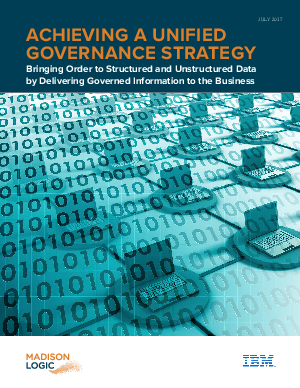 The concepts of data governance have evolved, where the first iteration of data governance, often referred to as version 1.0, focused on three simplistic elements: objectives, structure and processes; having a limited focus and scope due to its tactical usage. The opportunity from the growing value of data in the realm of analytics, business intelligence, and generating insights was left unrealized. Today, organizations are moving towards what can be called Data Governance 2.0, a more appropriate iteration, which brings more value to a wider range of stakeholders, empowering them to garner knowledge, trends, and insights from the data, and apply those discoveries to business practices.